Swan Dive Media believes deeply in the importance of journalism for the public good. Our team has produced stories exploring the potential for solar power in African prisons, the threat of nuclear waste being stored on the California coastline, and potable water access programs in Nepal and Vietnam. Swan Dive Media’s Joel Hersch has worked as freelance reporter for a multitude of print publications in Santa Cruz and the Bay Area, and brings that expertise to the media agency. Swan Dive Media is always searching for important stories worldwide and is eager to discuss opportunities and collaborations with partners to bring them to life through digital media. Journalist and producer Joel Hersch discusses the radioactive threats of nuclear waste held in interim storage at a Southern California facility. 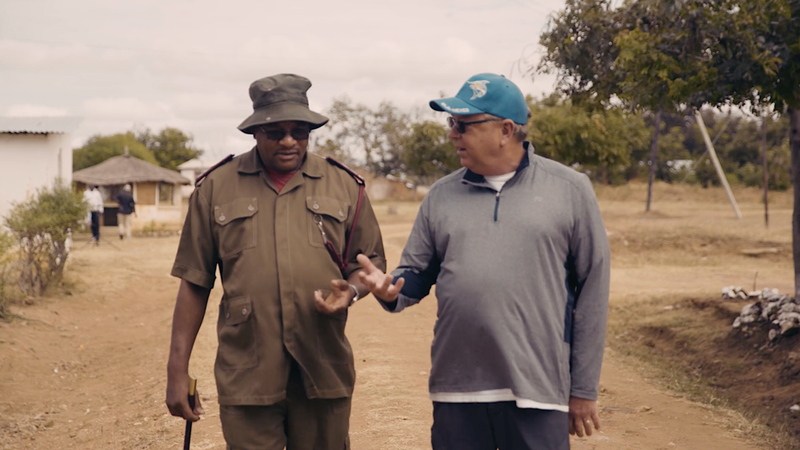 Santa Cruz’s Paddy Brady of H20 (His 2 Offer) discuses the need for support with a superintendent at a rural penitentiary in Malawi, Africa. Our team is passionate about human rights, the natural environment, government transparency, and countless other issues. We are well suited to assist at various stages of production for investigative journalism projects and always open for a phone call to discuss strategies for telling important stories. If your organization is interested in funding video productions that delve into specific issues and are seeking a capable team to help answer questions and execute a specific vision, please do not hesitate to reach out today.